Motorsports fans can be some of the most passionate fans in the world. And as ever the fans and spectators we have out on the world stage are… Well totally crazy. 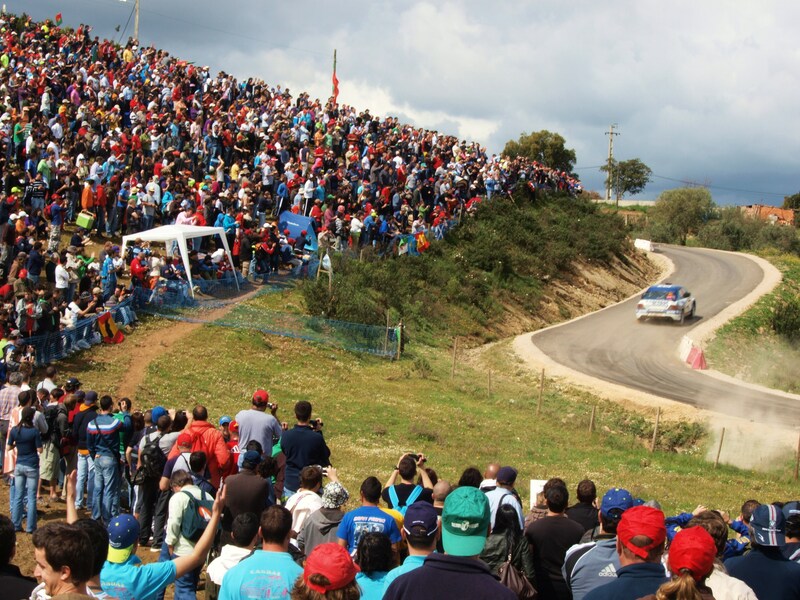 Last weekends rally Portugal was no different. With the surrounding hills, trees, lamp posts, cars, buildings and roof tops full of enthusiastic fans. On the Almodovar stage, a group of them even had a chain saw motor, and paper on their shirt with Ford written on it. With 3 in line they would run down the hill, chain saw motor revving and pretending to be a Ford World rally car. And then slipping over and falling in the mud, much to the amusement of the crowds. 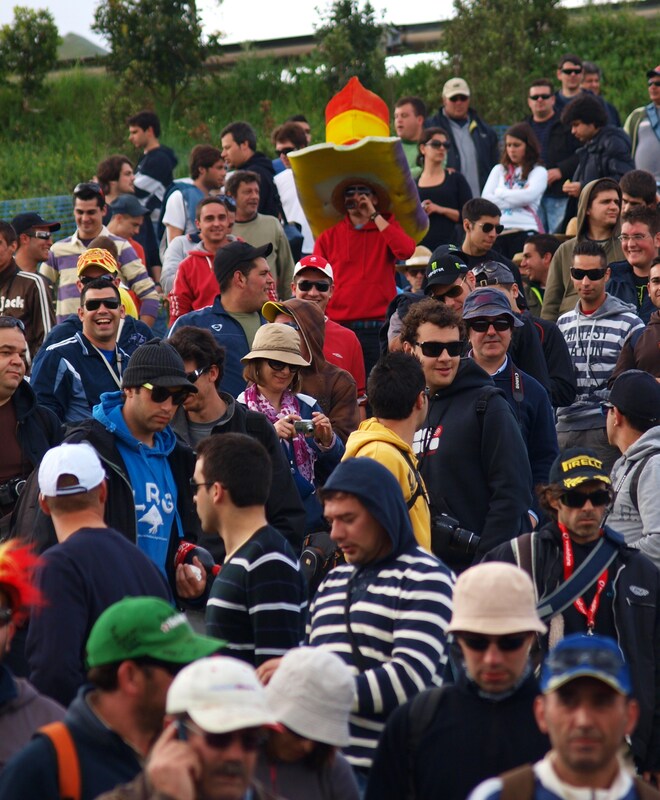 When on a WRC event, you can be forgiven for mistaking it for a festival. Other stage side entertainment last weekend included, a lot of singing, bonfires, beer drinking, cheering and whistling at girls and photographers walking along the stage. And even a trumpet player, playing jingles for the fans on the opposite bank to sing along to. And then the chants for their favorite drivers. 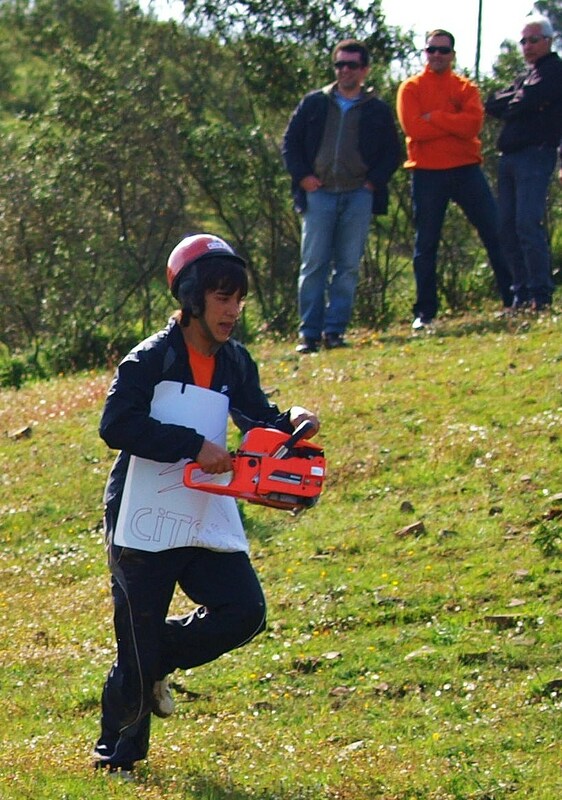 And as I learnt on day 1 of Rally portugal, it’s not just the fans that are crazy! On day 1 we went to a VIP viewing area and Grand Stand on top of a mountain. To get up there, there were these 2 transfer mini busses that would drive us up a very step and rocky gravel track. It was almost like a very rough Special Stage, and the mini bus driver must have thought it was too. We got in, he said with a slight smile, “hold on!” And then floored it. With wheels spinning, engine revving we launched up the hill. I could feel the wheels scrambling for grip, as massive stones and rocks hit the underside. Seeing the tight hairpin corners ahead, and the big drops either side we feared for our life, as the driver flung the mini bus around the corner thinking he was in a Subaru World Rally car, sliding it around on the loose stuff, wheels still spinning. Bouncing around, just waiting to either roll over the edge or for a wheel to fall off. We made it to the top (alive). But not without a swift handbrake slide at the ‘finish’. After that exhilarating ride, and a trashed mini bus, we were ready for action. 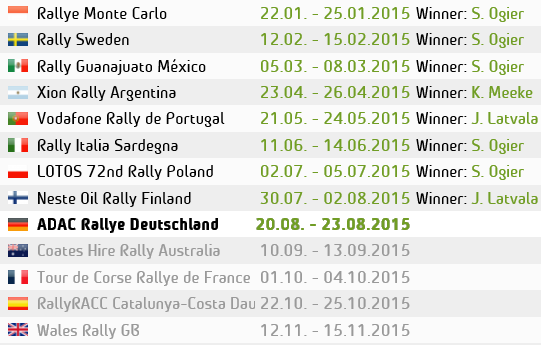 The WRC is such an easily accessable sport for the fans. Giving them the chance to get close up to their drivers. They can watch the engineers work on the cars just metres away in the service park, and then feel the rush of air and taste the gravel as the cars fly past. There is no other sport in the world where the fans can get so close to the action. And that helps to create an amazing atmosphere. The parties, the noise, the cheering, the food, the drinking and the excitement. You don’t get that kinda of fun on a golf course watching Tiger Woods. One thing I’ve learned over the many years of Rallying is, WRC isn’t just about the cars or the racing or results, it’s about everything else that comes with it. The fans, the people, the passion and the adventure. 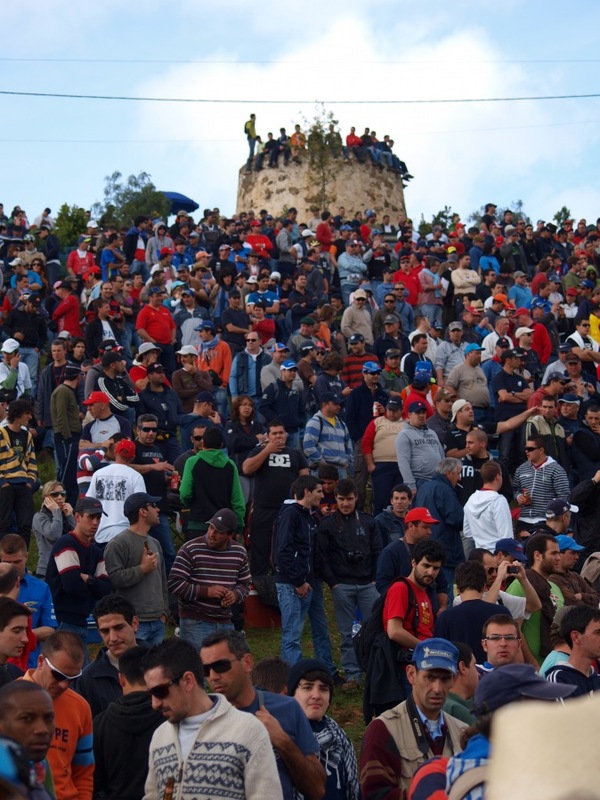 A spectators sport?… Now that is rallying. This entry was posted in Dan's WRC Blog, WRC. Bookmark the permalink.